Climb into your suit of armor and saddle up your ostrich--that's right, your ostrich! You're about to enter the world of JOUST where gladiators ride gigantic buzzards into combat and friends can turn into foes at a moment's notice. Fly your favorite fowl into battle against the infamous Buzzard Riders--and knock your opponent off their birds before they turn you into buzzard bait! 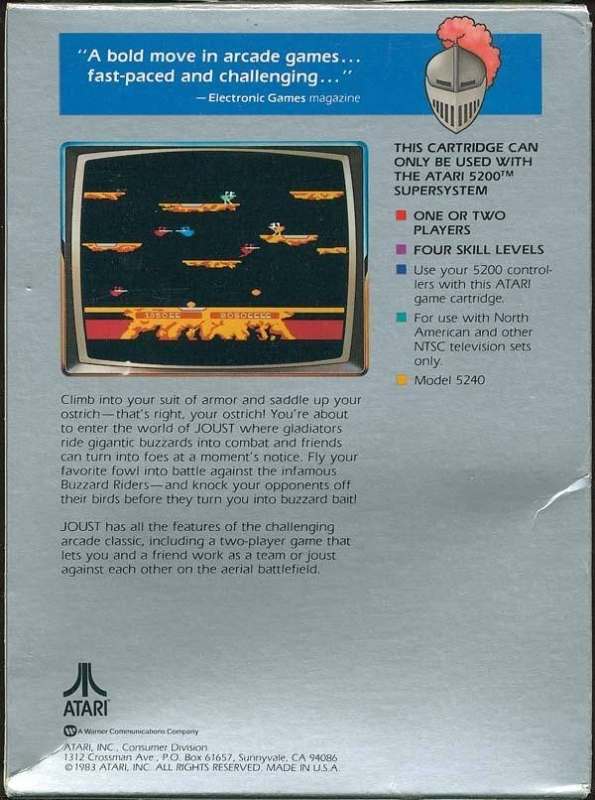 JOUST has all the features of the challenging arcade classic, including a two-player game that lets you and a friend work as a team or joust against each ofther on the aerial battlefield.